Changes in our tax laws are one of the few constants of Indian life. Every change adds a new layer of complexity to an already complicated process. Management of most progressive businesses have recognized and realized that taxes are a dynamic item of cost in the balance sheet than just a charge on the overall profits. There is a need to minimize taxes and optimize cash flows by taking advantage of local tax deductions and credits. In fact, an effective tax – cost management system provides the client with a competitive advantage that includes accurate and judicious application of tax strategies, identified well in time and implement in the most meticulous manner. As an end-to-end solutions provider, firm’s tax services have long been recognized as being progressive tax consultancy practice nationwide and extend well beyond the stage. We advise clients on structuring their business on tax efficient practices and support them in complying with tax laws. We use our professional judgment and experience to advise you as to what actions you can take to reduce your tax burden. Domestic Taxation Services, which encompass Direct and Indirect tax advisory, as well as compliance work. Preparation / Verification of income tax returns for corporations, partnerships, individuals and trusts. Preparation / Verification of service tax / VAT returns for businesses. Tax planning and advisory for businesses and its owners. Guidance in tax law changes. Valuation of shares under Free Discounted Cash Flow Method as required under Rule 11UA of the Income Tax Rules. 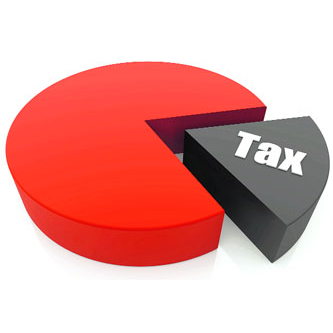 Counsel and Representation in dealing with various Tax Authorities (Income Tax / Service Tax / Sales Tax ). Handling of Income Tax Search & Seizure matters. International Taxation, Inbound and Outbound Structuring. Transfer Pricing study, documentation and certification.